Like everything else cosmetic, eyebrows also have their own trends. From full and natural to pencil-thin and arched, brows are constantly evolving. While their fullness, shape, and style change over the years, the one thing that remains the same is their importance in framing the face. Because of that, many consider the eyebrows to be the most important facial feature. 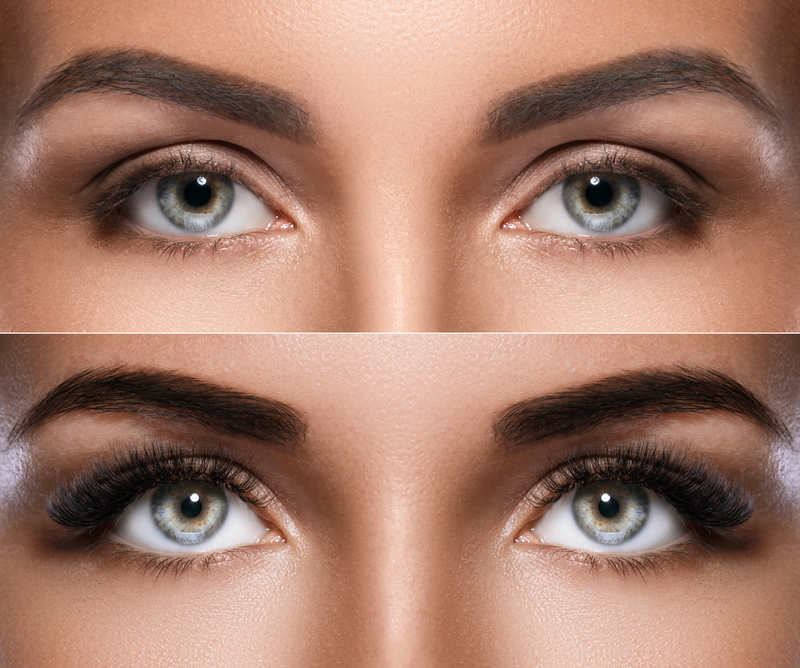 In fact, symmetrical and tamed eyebrows can make someone look polished even on a makeup free day. If you’re not entirely satisfied with your natural brows, fortunately there are a number of ways to refresh them. Waxing, tweezing, and threading have long been popular options to tame and shape eyebrows. On the other hand, eyebrow pencils, brow gels, and powders have been an inexpensive way to thicken and fill out brows for those with more sparse brows. Electrolysis and eyebrow tattoos have also been popular for people looking for more permanent solutions. So, how does everyone in Hollywood have perfect eyebrows? I’ll give you a hint: It's not because of their makeup artists! It is because of a semi-permanent treatment that leaves you with natural looking and beautiful brows called microblading. Like electrolysis and eyebrow tattooing, it requires a little bit of an investment but microblading will last you for one to two years. Eyebrow microblading is a semi-permanent makeup technique that uses a super-fine pen to deposit pigment into the skin. Because the tip is so fine (the tip is actually made up of a bundle of 12 to 15 tiny little needles), it can create hair-like strokes so natural looking that it can be hard to tell real hair apart from the ink. While the process sounds like a traditional cosmetic tattoo, it is actually quite different because the microblade needles only penetrate the superficial layers of skin, making the technique semi-permanent unlike tattooing which is permanent. What does the microblading process look like? Microblading is done manually with a handheld tool, not by an automated machine. Technicians meticulously draw the strokes on one by one and pay close attention to detail. During the first hour, technicians draw on the eyebrows with removable pencil to determine what the ideal shape and fullness should look like. Afterwards, they take a photo and line it up with a grid to make sure the eyebrows are perfectly symmetrical - you don’t want mismatching eyebrows, right!? Once the eyebrow shape has been determined, technicians will apply a topical numbing cream and a liquid anesthetic to minimize any pain. Depending on the client’s preference, the technician will choose a needle from a variety of diameters to control the thickness of each hair stroke. The diameter is customizable to each client because it is important the microbladed hairs match the width of the native brow hairs to make the eyebrows look as natural as possible. As with other tattoos, there is no downtime for microblading, although it can take about two weeks for scabs to fully heal. 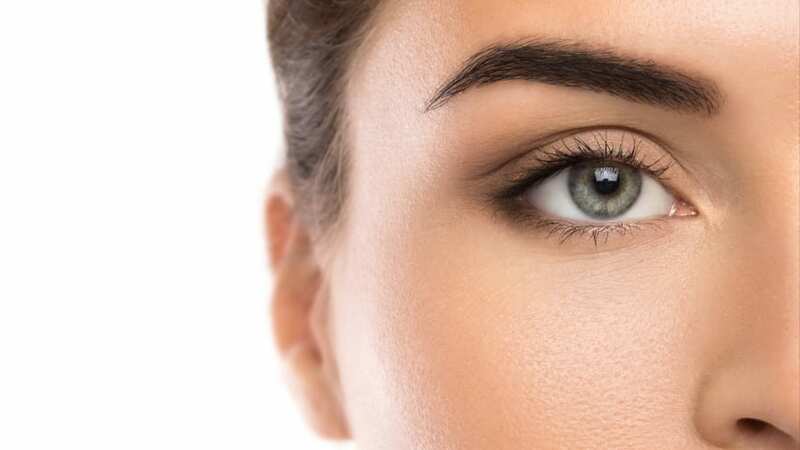 Microblading patients are encouraged to avoid heat and sun exposure, eyebrow makeup, swimming, and facials for one week following the treatment. Additionally, many salons offer creams or skin care products to use post procedure to help the healing process. There are a few different types of microblading and similar treatments in the broader family of semi-permanent eyebrows. Microfeathering™ Created by the Los Angeles based celebrity brow artist Kristie Streicher, Microfeathering™ is a technique to create less bold and more natural looking brows. Microfeathering™ is not for statement brows or to recreate an entire eyebrow, but instead it is to fill out existing brows for a soft and subtle look. The goal is to achieve eyebrows that look completely natural and untouched by tweezers or waxing. Because it is not a typical bold eyebrow, there will likely be some skin showing in between the hairs after the procedure. The best part of the treatment is that you can not only have everyday brows but also you can have full “Instagram brows” with the addition of pencil, gel, or powder. Unlike traditional Microblading, Microfeathering™ requires the patient to already have natural eyebrow hair. The technique is to work with the native hair and mimic the hair’s natural growth pattern for the utmost natural look. The goal is to fill in gaps within the existing eyebrow rather than creating an entirely new one. Because of this, after the initial appointment most clients are instructed to have a grow out period of four to six months to ensure they have enough natural hair for best results. Compared to Microblading, Microfeathering™ has similar maintenance. The treatment is a two-part process, with touch-up’s one to two months after the first session. Because Microfeathering™ has finer strokes compared to microblading, it lasts slightly less as long. It is expected to last around eight to twelve months depending on the person. Microshading Microshading is the ideal technique for those looking for filled in, thick, “boy brows." 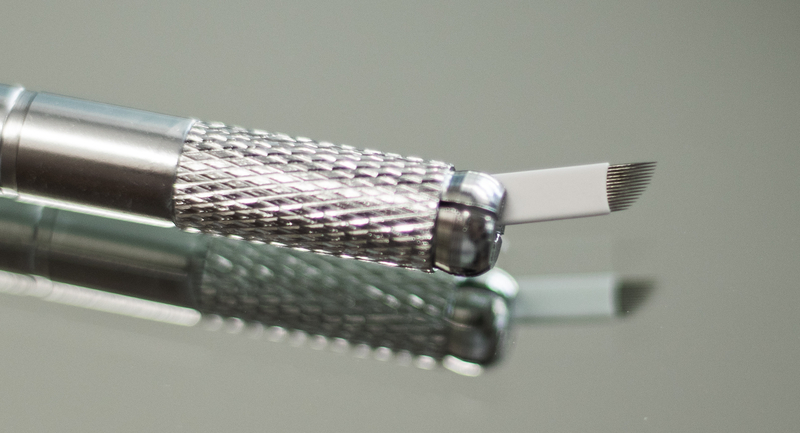 Like Mircofeathering™ and microblading, microshading also uses a handheld or manual tool to create customizable brows. The big difference is that, unlike microblading and Microfeathering™, Microshading does not draw on hair-like strokes. Instead, it uses a stippling method of dotting the pigment into the skin. This creates more of a powdered eyebrow that you would achieve with eyebrow powder. Think Kim Kardashian or Kylie Jenner. Ombré Brows are a type of microshading but have a two-tone effect, like with ombré hair. The tails of the brow are darker and fade into light color as it reaches the start of the eyebrow. It is a better option for someone looking for a trendier brow or someone with a darker skin tone. Microshading is expected to last just as long as microblading with a touch-up a month after the treatment and annual touch-ups. Many people opt for a combination of both microblading and microshading if they have thinner brows. Who is microblading right for? The treatment is a great option for someone looking for smudge proof, low maintenance, and natural looking eyebrows. Aside from the initial investment of around $700 or $800, you would also need to sacrifice about two hours for the procedure and a brief touch up once a year. If you are looking to entirely reconstruct, fill in gaps, or add definition then microblading can be the answer to achieve those picture perfect brows you have always been dreaming of! Overall, a microblading procedure is relatively safe and shares the same safety precautions as any type of tattooing procedure. Minor complications can include misapplication, migration, or discoloration of the pigment. Since there has not yet been a formal testing or certification specifically for microblading (only for general tattooing), prospective microblading patients should ask the appropriate questions around safety to minimize risk. While it is unlikely, blood transmitted diseases, such as HIV or Hepatitis C, are always a risk with any form of tattooing. Gone are the days of painted on, Sharpie looking eyebrows. Missing or sparse brows can be a result of genetics, over plucking or waxing, or illness, but regardless of the reason why, almost anyone can instantly enhance their beauty with the semi-permanent microblading technique. Eyebrows help frame the entire face and create symmetry and everyone deserves to be the best version of themselves!